Do you want to win a copy of Chicken Scratches: Poultry Poetry and Rooster Rhymes? Chronicle Books is sponsoring a contest with said book as the prize. Here's the scoop! April is National Poetry Month! Celebrate the silly side of verse with Chicken Scratches. 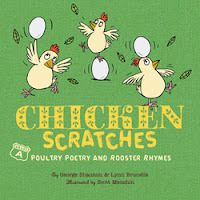 As adorably absurd as chickens themselves, this book of charming illustrations and laugh-out-loud funny poems will appeal to anyone with a fowl sense of humor. Calling all rhymers: can you fill in the blanks in the poultry poems below? E-mail your answers to kids@chroniclebooks.com for the chance to win a copy of the book. From the pool of correct answers, we'll choose two winners at random on April 2 at 5:00 pm PDT. Give it a try—don't be chicken! He could not walk. He could not talk. No one was sure just what to do. who brought a bowl of chicken soup. "Drink up," he said. "It's good for you. I promise it's no one you knew." that make the chicken rare. yet neither drum nor hair. but there is no _____ there! before she read the label. So, what are you waiting for? Put on your thinking cap and submit your answers for a chance to win! I'm rereading Barbara Juster Esbensens's book A Celebration of Bees: Helping Children to Write Poetry and am enjoying the chapter on animating the inanimate. Here's an excerpt. In the previous two chapters we have seen that words, used with imagination and skill, can bring to three-dimensional life people, animals, birds, and insects of all kinds. We can show the inner feelings of a person simply by describing a walk, or the tilt of a head; we can give ferocity to a lion, flight to a dragonfly, or lanky-legged height to a giraffe. All this is accomplished by merely choosing the right words. By this time, it must be evident that words are magical and powerful. We can use them to do our bidding. We can be as powerful ourselves as any wizard! The chapter goes on to explore how to motivate children to look at an inanimate object and see it as something with a life of its own--breathing and alive. Here's a poem I love that does just that. But summer isn't done! Not yet! So, your challenge is to write a poem in which you animate an inanimate object. Leave me a note about your poem and I'll post the results here later this week. 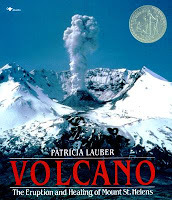 When I began teaching in the 80's, Patricia Lauber books were a staple in my classroom. In working with preservice teachers she's always been one of the authors I highlight as a "must know." Just yesterday I heard the sad news that Lauber died at her home in New Canaan, CT on March 12. Lauber wrote nonfiction that showed both an understanding of the natural world and the sensibilities and interests of children. Her books (more than 125 titles) spanned topics from trees to mummies and just about everything in between. Her writing made even seemingly mundane topics interesting. I saw a number of my elementary and middle school students turned into nonfiction lovers once they became absorbed in her writing. If you haven't read a book by Lauber, you're really missing something. You might want to check out her book Volcano: The Eruption and Healing of Mount St. Helens, which was awarded a Newbery honor medal in 1987. You'll find titles for younger readers in the popular Let's-Read-and-Find-Out Science series. 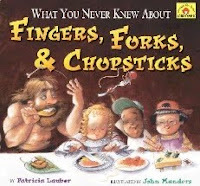 Finally, I recommend titles in the Around-the-House History series like What You Never Knew About Fingers, Forks, & Chopsticks and What You Never Knew About Beds, Bedrooms, & Pajamas. I'm happy to be serving as your host for this week's installment of Nonfiction Monday. Leave me a note about your post and I'll add it to the list. Kim Hutmacher at Wild About Nature has a review of The Blues Go Birding Across America. Mary Ann Scheur of Great Kid Books shares two books that tell the Passover story: Miriam's Cup by Fran Manushkin, and Wonders & Miracles, by Eric Kimmel. Zoe of Playing by the Book shares a review of The Planet Gods: Myths and Facts About the Solar System, along with an idea for making your own revolving planets. Anastasia Suen of Picture Book of the Day shares a review of Whose Nest is This? by Heidi Bee Roemer. Paula of Pink Me shares a review of The Extraordinary Mark Twain (According to Susy) by Barbara Kerley. In Need of Chocolate shares a review of Adventures in the Ice Age by Linda Bailey. Mandy of Enjoy and Embrace Learning reviews a series of life cycle books by Camilla de la Bedoyere, published by QEB Publishing Co, and sold through Scholastic. Abby (the) Librarian reviews An Unspeakable Crime: The Prosecution and Persecution of Leo Frank by Elaine Marie Alphin. Sarah Campbell shares an interview with Joseph D'Agnese, author of Blockhead: The Life of Fibonacci. Jeannine Atkins shares a review of Feeding the Sheep by Leda Schubert. Cindy Dobrez and Lynn Rutan of the Booklist blog Bookends share a review of The Cutest Critter by Marion Dane Bauer. Amy O'Quinn shares a review of Shutting Out the Sky by Deborah Hopkinson. Camille of Book Moot highlights a number of manga drawing books. Wendi O. of Wendie's Wanderings shares a review of A New Baby Arrives! by Nicola Barber. Shirley Duke of the SimplyScience blog shares a review of Bugs and Bugsicles: Insects in the Winter, as well as some great activity ideas. Sally Apokedak of Whispers of Dawn shares a review of The Heroine of the Titanic, written by Joan Blos and illustrated by Tennessee Dixon. Anamaria of Books Together shares an interview with Margarita Engle, author of Summer Birds: The Butterflies of Maria Merian. Becky Laney of Becky's Book Reviews shares a review of Girl in the Know: Your Inside-and-Out Guide to Growing Up by Anne Katz. Amy Graves of The Art of Irreverence shares her take on The Extraordinary Mark Twain (According to Susy) by Barbara Kerley. Amanda of A Patchwork of Books shares a review of the Is That a Fact? series. BooksforKidsBlog shares a review of Years of Dust: The Story of the Dust Bowl by Albert Marrin. Happy reading folks. Be sure to join us next week for the round up at Lerner Books Blog. 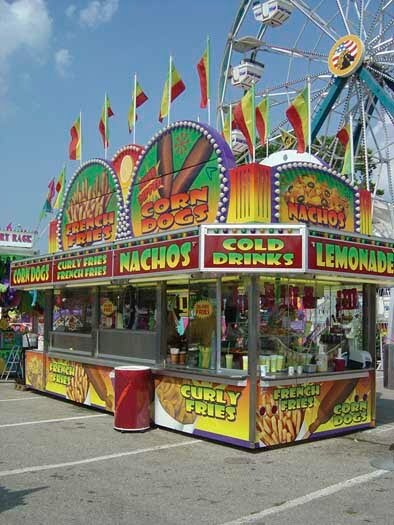 I don't know about you, but I love a good carnival. Can you smell the fried dough? 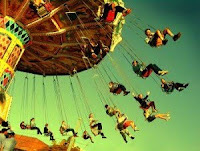 Hear the screams from the Round Up and the belly laughs from the Tilt-a-Whirl? Will you pay a dollar to see the world's largest bull? Or the snake with two heads? I've paid the price of admission, slapped on a wrist band, and am heading off to the midway. Just like a good ride, a book takes you places you might never have expected to go. Here are some reviews of books that will definitely take you away. Becky Laney of Becky's Book Reviews shares a review of The Incorrigible Children of Ashton Place: The Mysterious Howling by Maryrose Wood. Sheila Ruth of Wands and Worlds shares a review of POD by Stephen Wallenfels. Can you say creeptacular? When do I know I must add a book to my TBR pile? When two bloggers I highly respect tell me I need to read it! Mary Lee of A Year of Reading shares a review of The Night Fairy by Laura Amy Schlitz. Kate Coombs of Book Aunt also shares her thoughts on The Night Fairy by Laura Amy Schlitz. Mary Ann Scheuer of Great Kid Books shares a review of the graphic novel Smile by Raina Telgemeier. Matt Cunningham of Literary Asylum shares a review of The Strange Case of Origami Yoda by Tom Angleberger. Challenging the Bookworm shares a review of The Brooklyn Nine: A Novel in Nine Innings by Alan Gratz. Shirley Duke of SimplyScience Blog shares a review of Monster Fliers, a book about pterosaurs and other winged animals living in the time of the dinosaurs. Hey! 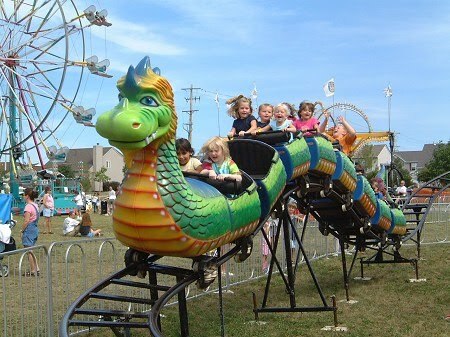 Don't forget the kiddie rides! Let's see what folks are sharing for the younger set. boheime of Living Peacefully With Children shares a review of the book A Ride on Mother's Back by Emery Bernhard. Sarah of In Need Of Chocolate shares ideas for reading with expression and silliness to engage babies, toddlers, and preschoolers in her post Let the Sillies Out: Reading to Babies and Young Children. Becky Laney of Young Readers shares a review of the book Young Zeus by G. Brian Karas. How many blogs is too many? I don't know the answer, but don't ask Anastasia Suen who has started yet another blog! At her new literacy blog for babies, toddlers and preschoolers she shares a review of the book Happy Easter, Mouse! by Laura Numeroff. Sally Apokedak of Whispers of Dawn shares a review of the book Beach Tail by Karen Lynn Williams. Melissa Wiley shares her fond memories of Sid Fleischman's McBroom books. Jeff Barger of NC Teacher Stuff reviews the book presents Ants by Melissa Stewart. Jennifer of Jean Little Library celebrates Melanie Watt's fabulous Chester picture books with summaries, storytime suggestions, and ideas for how to use Chester with all kinds of readers. Anastasia Suen of 5 Great Books offers some suggestions for sharing nonfiction with new readers. Anastasia Suen of Picture Book of the Day shares mini-lesson ideas for the book Chicken Dance by Tammi Sauer. Kathy Bloomfield of forwordsbooks shares ideas for linking secular books to Jewish valuesand examines books with the theme of Courage/Ometz Lev in honor of Passover. Books and food--is there any better combination? Anne-Marie of This Mama Cooks! On a Diet shares some ideas for reading and cooking with the Little House books in March is Reading Month: Read and Cook With Your Kids. Heather Mann of Croq Zine shares some fabulous snack and craft ideas for celebrating the birthday of Dr. Seuss. I'll be the first one in line when Thing 1 and Thing 2 cupcakes show up at my local fair! Jama Rattigan of jama rattigan's alphabet soup shares a delicious post about picture book bakers. Games of skills, games of chance, the age and wight guessing booth, and lots of other excitements await you as you wander around the carnival. Who knows what fun you'll have and who you might meet? At this carnival you get the chance to meet those amazing people known as authors. Elizabeth O. Dulemba shares an interview with author and photographer Sarah Campbell. Eric Van Raepenbusch of Happy Birthday Author shines a spotlight on Bill Martin Jr..
Carmela Martino of Teaching Authors shares an interview with Johanna Hurwitz and features ideas for using her new book I FOOLED YOU in the classroom. Amanda Hartman of The Literary Family shares some mad love for Kadir Nelson. Lori Calabrese of Lori Calabrese Writes! interviews award-winning children's author Rene Colato Lainez on his latest book, My Shoes and I.
Sharon Hrycewicz of Reading Chick shares an interview with Gayle Brandeis, author of My Life With the Lincolns. Jone (MsMac) of Check It Out shares an interview with Lisa Schroeder. Samantha Clark of Day By Day Writer shares an interview with Bonnie Hearn Hill, author of the new YA Star Crossed book series about a teenager's life with astrology. Help! I've lost my umbrella. The lady next to me lost her kid. Yes, we're both off the the lost and found booth. You just never know what you're going to find there. 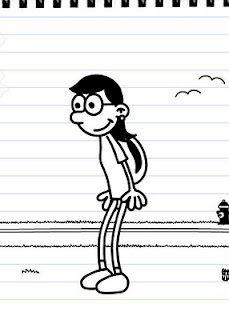 Wendy Wax of The Girl Who Cried Book! shares some thoughts for writers about getting over the fear and worry of having their ideas stolen by someone else. Stephen Aitken of Scribble Sketch shares his thoughts about writing and reading non-fiction for children. It also links to a post on the INK blog. Helaine Becker of Track & Display Changes: A Writer's Blog shares some thoughts about meeting with kids' book club. Megan Abrahams of On Beyond Words & Pictures gives us a look at what two teens are reading and why. From the thumping beat on the Himalaya to the sounds coming from the concert stage, what would a carnival be without music? 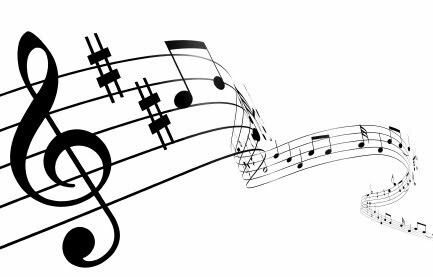 Zoe Toft of Playing by the Book rounds up several picture book versions of Peter and the Wolf as part of a new series, Stories in Tune, as a way to bring more classical music into family life through picture books. What a GREAT idea! Songs about reading? You bet! Andi of a wrung sponge shares the viral video of middle school kids celebrating reading in song and dance. Black Eyed Peas eat your heart out! 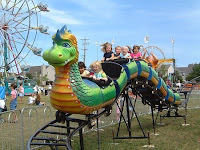 When I was in high school, nearly every summer weekend meant escaping to a fireman's carnival in a neighboring town or village. In addition to the rides, games and food, there were actually outlets for creativity. Spin art and tie dye booths were big back then! Just like those carnivals, we've got our own version of art. 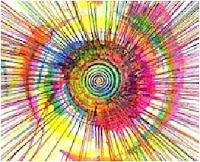 Elizabeth O. Dulemba has been sharing art on coloring page Tuesday for quite some time now.. She's created a widget that allows you to share this free resource with your readers. It's also a great reminder to look for new pages each week! Lynn Hazen of Imaginary Blog has some very cool ideas for moss art. I can't wait to see how these turn out! Deborah Freedman of writes with pictures shares some Poetry Spam. When you are ready to head home after a fun-filled day, falling into bed comes ONLY after the most important time of the day. What is that you ask? Well time to read, of course! 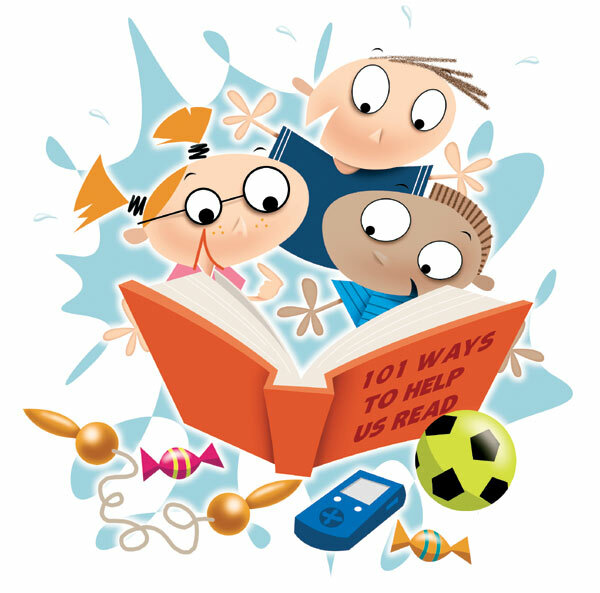 Fiona Ingram of Word Magic: Articles & Tips for Authors shares some thoughts on the importance of reading aloud with your kids. Lee Wind of I'm Here. I'm Queer. What the Hell do I read? shared some secrets for dads reading to their daughters. Gregory K. of GottaBook shares his thoughts on sharing stories and why this is a gift that lasts a lifetime. Terry Doherty of Scrub-a-Dub-Tub, a Reading Tub Blog shares her journey as a reading mentor and the lessons she's learned. Jen Robinson of Jen Robinson's Book Page shares a round up of the final day of the Share a Story Literacy Blog Tour with links to posts about raising and encouraging the next generation of readers. Pam Coughlan of MotherReader shares her thoughts on reading with kids in a piece entitled Reading is Boring (Sometimes). Don't let the title fool you, as you'll get some good advice on varying your reading routine. That's a wrap folks. I hope you've had fun. Next month's Carnival of Children's Literature will be hosted by Kathy Bloomfield at forwordsbooks. You can submit your article for that event using the carnival submission form. For more information about the carnival and how to participate, visit Anastasia's carnival page. Thanks for visiting! I know that spring is truly on it's way, not because of the buds that seem to be opening daily, but because the return of major league baseball is only 9 days away. Can baseball be the true harbinger of spring? On some days I think so. In honor of the return of baseball I've been reading some wonderful poems of the game. Here's one of them. The world is always rolling between our legs. humming its goat song, easy as pie. Read the poem in its entirety. The round up is being hosted by Julie Larios of The Drift Record. Do stop by and take in all the wonderful poetry being shared. Before you go, be sure to check out this week's poetry stretch results. Happy poetry Friday all! The challenge this week was to write a limerick. What fun everyone had! Here are the results. With three very boisterous chicks. But it’s nothing that we cannot fix. Andrea from Just One More Book!! took a break from chemo to offer this poem. Send some healing vibes her way and see how she's doing at We Can Rebuild Her. of my life. Now I think I will stay. Jane Yolen shared this chain of limericks. But the poet, in turn, gave a look. Can make my heart twitter. So stop with the bitter. So which of the three has it right? Is there poetry or prose in your sight? Bringing all of us readers delight? Kate Coombs of Book Aunt shared this poem. With a ferret, three kids, and a dog. So instead she decided to blog. Jane's Back! Here's what she had to say. "OK--so limericks are addictive. 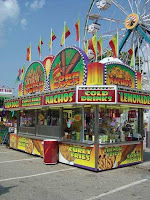 In honor of Barbara Cooney AND our fair hostess here, I wrote this last one. And now I am quitting cold turkey." So decided she knew what to do. And my! How those hours just flew! and on one beetle it specializes. It lays eggs in their larvae. Maggots hatch and are starvy. So they eat them from their insideses. Amy Ludwig VanDerwater shared this poem. who ordered herself one by mail. When it came she said, "Thanks. I’m no longer a Manx. It’s too small, but I got it on sale." Elaine Magliaro of Wild Rose Reader shared a limerick she wrote many years ago. And relax on a forty-day cruise. 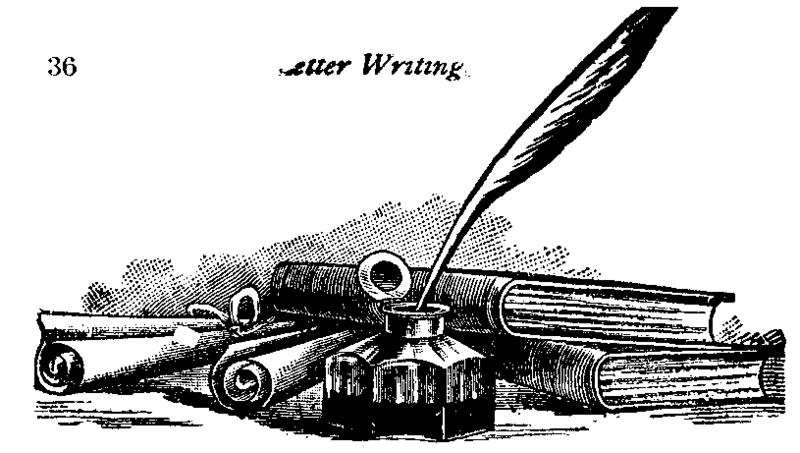 I want to write poems – it’s true. Amazing Word-Art – wouldn’t you? But how is it done? Is this meter right? I’ve no clue. They say Shakespeare wrote in fine rhyme. To cook, work AND write words sublime? OK, so a Shakespeare I’m not. I’m just a raft. He’s a yacht. It may be that I have a shot! It's not too late if you still want to play. Leave me a note about your poem and I'll add it to the list. As many of you know, I write a lot of thematic book lists. I have not, however, tackled holidays. (Well, I did write about monster books for Halloween, but I don't think that counts!) Since Passover is around the corner, let me point you to this terrific post by Jennifer Schultz at The Kiddosphere. I had the pleasure of serving on the Cybils nominating panel for nonfiction picture books with her in 2008 and found her to be incredibly knowledgeable and thoughtful about her book recommendations. Recently she wrote about Passover-themed books. I love this post because of the perspective she shares. Here's what she wrote. My favorite type of holiday books for children are the ones that are all-inclusive; they make both the observer and non-observer welcome. Holiday books for children can easily fall into the trap of making the observers of that holiday "Other" and exotic. She's put together a terrific list, so do stop by and check out her Passover recommendations. On Monday evening, March 29, Jews all over the world, with family and friends, will be sitting down to retell the Passover story and the birth of the Jewish people. Whether you believe that every word you read in the Haggadah is true or that what you are reading are archetypal legends of the Jewish people, the fact remains that Passover is the most celebrated Jewish holiday in the Hebrew calendar. It took a lot of people (real or imagined,) with a lot of courage, to create a way to bring us together every year to remember, teach and celebrate these events. She has put together a short list of books that demonstrate the value of Courage/Ometz Lev. Add these titles to books Jennifer recommends for Passover and you'll have some rich reading indeed. I should have thought to work on this form last week while everyone was celebrating St. Patrick's Day. Well, better late than never. I love limericks. They always make me smile and sometimes even laugh out loud. I'm particularly fond of some of the poems in Grimericks, written by Susan Pearson and illustrated by Gris Grimly. Here's one of them. felt his game was a howling success. "Too bad," he said. "One player less." What kind of limerick(s) will you write? Leave me a note about your poem(s) and I'll post the results here later this week. My forsythia bushes are usually in full bloom by mid-February. It's mid-March now and the buds are just beginning to show. All the snow and cold this year have made spring seem even farther away. The daffodil shoots are beginning to push up through the ground, but it's not happening fast enough and I'm desperate for flowers. This seems a perfect topic for writing. Since we can't find it outside, let's encourage some virtual spring by writing about something flowery. Leave me a note about your poem and I'll post the results here later this week. I may be out of town, but auto publish is a wonderful thing. I was thinking that this might be the perfect time to write about travel and/or transportation. I hate to fly, but love the train. Sadly, it's the plane I end up taking most often. How about you? What's your favorite way to travel? Your favorite place to visit? Where do you want to go that you've never been? Let's write about travel. Leave me a note about your poem and I'll post the results here later this week. On Monday I posted my thoughts about Ron Koertge's books Shakespeare Bats Cleanup and Shakespeare Makes the Playoffs. In that post I confessed that I'm not a big fan of novels in verse. However, I do have a few favorites. Here is a poem from one of them, Love That Dog by Sharon Creech. You can and should watch this fabulous video performance of Love That Dog featuring Sharon Creech, Walter Dean Myers, Avi, and Sarah Weeks. I promise it will be 14 minutes very well spent. I also dare you to keep a dry eye. The round up is being hosted by Danika at the TeachingBooks.net blog. Do stop by and take in all the terrific poetry being shared. Before you go, be sure to check out this week's poetry stretch results. Finally, don't forget to stop by the blogs of my poetry sisters, Tanita Davis, Kelly Fineman, Sara Lewis Holmes, Andromeda Jazmon, Laura Purdie Salas and Liz Garton Scanlon to read the original rondeau redoublés they are debuting. Happy poetry Friday all! Tomorrow my wonderful poetry friends will be debuting original rondeau redoublés as part of the poetry Friday celebration. I'm sorry I won't be joining them this time around, but I'll be with them in spirit. Be sure to stop by the blogs of Tanita Davis, Kelly Fineman, Sara Lewis Holmes, Andromeda Jazmon, Laura Purdie Salas and Liz Garton Scanlon to read their fabulous pieces. Don't know what a roundeau redoublé is? Check out this bit of background Kelly posted at Writing and Ruminating. See you back here later next week. The challenge this week was to write a pantoum. Here are the results. On Ponce de Leon Avenue. And she was safe under handmade quilts. Watching lights play through Venetian blinds. And no one watches lights play through Venetian blinds. She stitched in time unravel in her hands. Linger in a high-ceilinged room. The smell of butter rum. Tiel Aisha Ansari of Knocking From Inside shares a poem entitled Caribou Shadows. I will still remember them. when I am under earth. like children in a playground. (even if I never see another spring). Sits waiting with his treasure for you. Beware, to all those who go seeking. For anyone who dare to try. For all who have tried have died. One piece of advice I do give. Choosing one jewel out of many to live. Find which of the hoard that she seeks. It’s not as easy as one might think. To appease a siren of the sea. You shall never soothe her jealous soul. Remember what the siren seeks most. Old Captain Bones, in a cave off the coast. dropping over sky like a stage curtain. and we all lift our umbrellas. dry hearts hopeful as houseplants. Rain silvers everything in sight. The sun goes back to bed, sulking. Our footsteps splash on sidewalks. Blue fades, coolness creeps in. Rain comes graying back again. M.F. Atkins of World of Words shares a poem entitled A Plead for Spring. They fill the stall, these signs of doom. A few weeks ago I fell in love with Kevin Boland (known to his baseball-playing buddies as Shakespeare). How could I not love a boy who loves two of my favorite things--baseball and poetry? How could I not appreciate a boy who writes things like this? but I take that back. When I got sick, I missed baseball. When I got well, I missed writing (p. 56). at the end of every line (p. 61). fastball, curve. Slider, fastball, curve. Like meter in a bad poem--no surprises (p. 113). From the moment I opened Shakespeare Bats Cleanup, Kevin Boland was in my head, and by the end of the book he was in my heart. I really wasn't prepared for the emotional punch of his story told through poems laced with humor, angst, love, loss and of course, baseball. What's a boy to do when he's told he's sick and can't play the sport he loves? His father, who is a writer, hands him a marble composition notebook and and says, "You're gonna have a lot of time on your/hands. Maybe you'll feel like writing/something down." By the fourth poem in, Kevin has taken a book about poetry from the den and secreted it away to his room. As Kevin recovers from mono he writes about the death of his mother, girls, baseball, the past, and the struggles of a typical teenager. The poems take a variety of forms, including sonnet, couplet, free verse, elegy, pastoral, pantoum, and more. Before I go any further, I need a time out for a confession. I'm not a fan of many so-called verse novels. I know, I know! I can already hear the arguments for them, and you can probably name more than a dozen that you love. (Little Willow posted a lengthy booklist of verse novels.) But for me (confession, remember?) some of them read like prose that's been broken up to LOOK like poetry. Don't get me wrong, they're often terrific stories, but sometimes they just don't FEEL like poetry. I don't know if Shakespeare Bats Cleanup is or has been categorized as a verse novel, but it's exactly what I think a verse novel should be -- a carefully ordered collection of poems that tells a good, no scratch that, a great story. All of this is a very lengthy prelude to my reflections on Shakespeare Makes the Playoffs, Koertge's sequel to Shakespeare Bats Cleanup. When I was invited to participate in the blog tour, the folks at Blue Slip Media were concerned that this book might not be my cup of tea because I focus on poetry for younger readers through middle grades. While it's true that I rarely review YA books, my concern was not so much about the audience, but the verse novel format. The verdict? I'm so glad I said yes. My love affair with Kevin Boland continues as he struggles with his new girlfriend (who doesn't really know much about poetry), his new poetry gal pal (who totally gets his poetry obsession), his English class, his father's dating, the line between friendship and something more, and baseball. As with Shakespeare Bats Cleanup, I appreciate Kevin's take on writing, life and baseball. Here are a few of my favorite excerpts. one side, Capulets on the other. Synonyms and antonyms (p. 4). an even better one (p. 11)! with a schedule all its own. have to get on (p.25). the nearest chaise and wept. Copiously (p. 80). When I closed this book I wanted to understand why I connected so fully with Kevin. What was it about him that drew me in and kept me in his corner? Honestly, I think it's because Kevin is the male version of my middle school self (save the dead mother) and in his poetry he admits to all the things I felt but never put in writing. Will teens feel the same way reading him? I sure hope so. Boys will connect to his everyman status because he is, after all, just a regular guy. Girls will enjoy getting inside his head (who doesn't want to know what boys are thinking?) and will appreciate that he's not afraid of facing his emotions, even if only on paper. I'm embarrassed to admit the I knew Koertge only through his adult work, not what he's written for young adults. I HAVE BEEN MISSING OUT. If you haven't met Kevin Boland, you're missing out too. Don't waste another minute. Run to the nearest library or bookstore and pick up a copy of Shakespeare Bats Cleanup. Then you'll only have to wait 8 more days until Shakespeare Makes the Playoffs is released. All poems ©Ron Koertge. Used with permission of Candlewick Press. Here's a description of the form adapted from The Teachers & Writers Handbook of Poetic Forms. The pantoum is a poem made up of stanzas of four lines where lines 2 and 4 of each stanza are repeated as lines 1 and 3 of the next stanza. The final stanza of a pantoum has an interesting twist. Lines 2 and 4 are the same as the 3rd and 1st of the first stanza, thereby using every line in the poem twice. Here is an outline for the form. Keep in mind that this form of poetry is of an indefinite length. It could be three stanzas, 4 stanzas or 20! You can read more about the pantoum at Poets.org. Here is one of my favorite examples of the form. She turns her moon-cold shoulder. You cannot hope to hold her. And tosses off the cover. So, your challenge for the week is to write a pantoum. Leave me a note about your poem and I'll post the results here later this week.